I was given a free copy of this movie as part of my involvement with Fox Home Insiders. All thoughts are my own. Welcome to the School’s Out Giveaway Hop, hosted by Planet Weidknecht and LeahSay’s Views! We’ve got a great bunch of bloggers who want to help you start the summer off right with some awesome prizes. 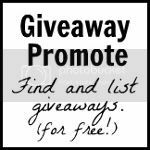 Be sure to see the complete list of giveaways at the end of this post. I’ve got a great prize for one of you: Eddie the Eagle on Blu-ray! (ARV $40)! Eddie the Eagle is already available via Digital HD and will be available on Blu-ray and DVD, Tuesday, June 14th. Of course, you can always enter this giveaway to win your own Blu-ray/DVD copy! Before I get to the giveaway, I wanted to share some fun stills and such from the movie. We’re not quite out of school yet here in NY but you bet I’ll be ready for a rainy day with Eddie the Eagle, especially with the Summer Olympics taking place this year. This giveaway is open to adults 18 and over who reside in the US and Canada (excluding Quebec). Giveaway ends Wednesday, 6/15/16 at 11:59pm EDT. To enter, just use the widget below. After you enter, check out all of the other giveaways in this hop in the list at the end of this post. My favorite Winter Olympic sport is ice dancing. My favorite Summer Olympic sports are the swimming events. I like both swimming and weight lifting the most of all the Olympic sports. My favorite is the Luge. I love to watch everything swimming. i love a lot of the swimming and gymnastics events, and figure skating in winter! I’m always interested in all the sports but I enjoy the floor gymnastics and uneven bars. I love to watch the figure skating. I enjoy watching the figure skating. I like swimming relay match and gymnastics. I like skiing and ice skating the best for Winter. Swimming for the Summer Olympics. Can’t wait to see the summer games start In Rio on August 5th. I like watching the Equestrian Dressage. I love to watch the figure skating and bob sleds. My favorite Olympic sport is Ice Dancing. It is so beautiful and exciting! My favorite Olympic event is figure skating. My favorite is Figure Skating. My favorite Olympic sport is Ice Skating. It is so athletic, graceful and artistic. I love gymnastics the most out of all the Olympic events. Though I have a soft place in my heart for the skating events, my mother in law always loved to watch it. I like watching the Swimming. I love the figure skating 🙂 Thanks! I like the 100 yard dash. My favorite sport to watch during the Olympics is the volleyball competition. I enjoy watching the diving competitions. My favorite is long track speed skating. I even volunteered to be a finish line judge. I love watching ice skating. I find it so graceful!! Gymnastics is my favorite olympic sport. My favorite olympic sport is Figure Skating. Thanks for the giveaway. This movie looks very entertaining. I hope that I win. I would say gymnastics is my favorite! I love watching ice skating! I like gymnastics and figure skating. My favorite Olympic sport is running events – 100m dash, 400m, etc. I love watching the “fastest” in the world compete. I love watching ski jumping. In Innsbruck, Austria, the view from the top of the ski jump is a graveyard. Great confidence builder. I enjoy the speed skating. I like to watch the ice skating events. We watch several, but I really like the swimming events. Gymnastics is my favorite Olympic sport! Thank you for the chance to win! Love this movie!